In this blog post, I will explain why the FSMS algorithm for frequent subgraph mining is an incorrect algorithm. I will publish this blog post because I have found that the algorithm is incorrect after spending a few days to implement the algorithm in 2017 and wish to save time to other researchers who may also want to implement this algorithm. 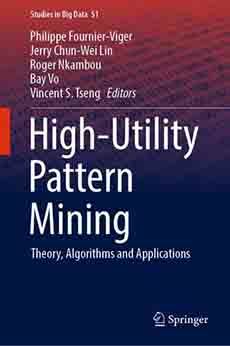 This post will assume that the reader is familiar with the FSMS algorithm, published in the proceedings of the Industrial Conference on Data Mining. Abedijaberi A, Leopold J. (2016) FSMS: A Frequent Subgraph Mining Algorithm Using Mapping Set, Proceedings of the 16th Industrial Conference on Data Mining (Ind. CDM 2016). Springer, 2016: 761-773. I will first give a short summary of why the algorithm is incorrect and then give a detailled example to illustrate the problem. The FSMS algorithm creates some mapping sets. The purpose of a mapping set is to keep track of vertices that are isomorphic for different subgraph instances. But I have found that in some cases we can expand a subgraph instance from two different vertices that are not isomorphic according to the mapping set but that will still generate some graph instances that are isomorphic. The problem that occurs is that FSMS does not detect that these graph instances are isomorphic using the mapping sets. Thus, the support of subgraphs may be incorrectly calculated and some frequent subgraphs may be missing from the output of the algorithm. The above short description may not be clear. So let me explain this now with an example. Consider that we have the following graph with five vertices and two edges. The vertex labels are A, B and the edge label is X. The numbers 1,2,3,4,5…9 are some ids that I will use for the purpose of explanation. Moreover, we can say that “Subgraph 1” has a support of 2. Just to make my example easier to understand, we can visualize these mapping set entries of “Subgraph 1” using colors. We have two entries. One is RED. The other one is ORANGE. Ok, so we have a subgraph called “subgraph 1” and we have its mapping set. Now let’s continue my example. We will expand our subgraph “Subgraph 1” to find larger subgraph(s). According to the FSMS algorithm, we should find the edges that extend each mapping set entry (each color), as we know that this will generate some subgraphs that are isomorphic. Obviously, “Instance 4” and “Instance 5” are isomorphic. But the problem that I have found is that these two instances are not obtained by expanding the same entries in the mapping sets of “Subgraph 1”. To obtain “Instance 4” I have expanded the RED entry of the mapping set (vertex 3). But to obtain “Instance 5”, I have expanded the ORANGE entry of the mapping set (vertex 7). But the resulting instances (“Instance 4” and “Instance 5”) are isomorphic. Thus the FSMS algorithm is unable to detect that these two instances (“Instance 4” and “Instance 5”) are isomorphic. If these two instances had been obtained by expanding vertices from the same mapping set entry (color) of “Subgraph1”, we would know that “Instance 4” and “Instance 5” are isomorphic. But in my example, these two instances are not obtained by extending the same entry of the mapping set of “Subgraph 1”. My above example is very simple. But the same problem can happen for larger subgraphs with more edges. In general, how can we detect that extending different entries (colors) of a mapping set yield isomorphic graph instances? Actually, this problem only occurs if we have many nodes with the same label. If we do not have many nodes with the same labels, it will not happen. But we still need to deal with this problem since in real-life a graph may have multiple vertices with the same labels. There does not seem to be a simple solution to fix the problem. Actually, one many think that a solution is to perform isomorphic tests. But the FSMS algorithm was designed to avoid isomorphic tests. Thus, it would defeat the purpose of the algorithm. I have thought about it for a while but did not find any simple solution to fix the algorithm. In this blog post, I have reported a problem in the FSMS algorithm such that the result is incorrect. I have actually implemented the algorithm and tested it extensively, which has led to finding this issue. If someone is interested in obtaining the Java implementation of the algorithm that I have made, I could share it by e-mail. The other conclusion that can be made is that it is easy to overlook some cases when designing and algorithm. There are actually several published algorithms that contain errors, even in top conferences/journals. For researchers, a solution to avoid such issue is to always provide a proof of correctedness/completedness, and to extensively test an implementation for bugs. The figures on your post don’t show properly. Could you please fix them? Thanks for your comment as always 😉 I have checked on two different browsers (Chrome and Explorer) and the images are appearing. However, the images are a little bit slow to load. Maybe that it is the problem? Or are you viewing the website from a mobile device? Maybe that the WordPress template that I am using has some compatibility problem with some devices! Thank you for your kind invitation. I really love to share my research topic on your blog to everyone. I think this is a great idea to gain more attentions and opportunities for co-operations from other researchers. However, I am a little bit busy right now with some conference deadlines and my thesis writing. I hope that I can complete them soon and will discuss with you on this idea. For the problem of image showing, I have read your blog on my computer using both Chrome and IE. However, neither Chrome nor IE show the figures properly. They just show a message “inline image” instead of the figure. Wish you a nice weekend ahead and looking forward to reading your new posts. I enjoyed reading this article. I would like to research on this problem. It would be nice to be able to compare my Code with yours. I would be glad to hear from you soon. Glad you like reading the blog. Yes sure, I can send you my implementation of FSMS if you send me an e-mail at philfv8 AT yahoo com. My implementation follows the paper but since the algorithm has a fundamental flaw, it can miss some patterns and the support can be incorrectly calculated. Could you check and fix some images on this page cannot display with Chrome.